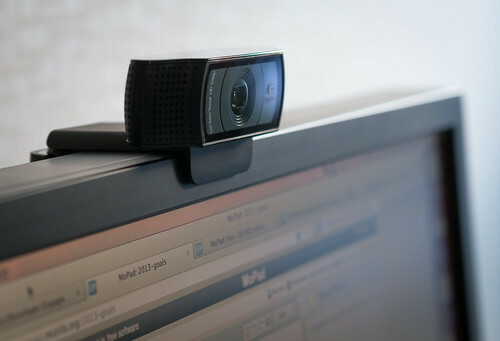 I recently replaced the webcam I use for video conferences at Mozilla and since I’m going back to my roots a bit with this blog, I thought I’d post a review about it here since that’s what the old me would have done without blinking. 😉 I previously owned a Creative Live! Socialize HD 1080p webcam for about 6 months, a full HD capable webcam with supposedly excellent quality. I was using Windows 7 at the time, and the webcam came with an app for changing settings like brightness, white balance, gamma and other stuff. It worked reasonably well, but it always struggled with reproducing natural colors in dim light. No matter how you adjusted the image settings, the camera would render almost black/white or something resembling sepia colors, with lots of grain. Due to a little bed table accident at a hotel room in Mountain View, I switched from Windows to Mac a couple of months ago (which probably is a story worthy a separate blog post). This is when the limitations of the Creative webcam really started to become unbearable, because now I didn’t have any app to adjust the webcam settings anymore since there is no Mac support. Luckily there was another minor hardware problem with the webcam so I was able to return it to the store for a full refund. So now I was on the hunt for a new webcam again, this time preferably with Mac and Windows support (since I’ll hopefully be able to switch to Windows 8 at some point — I still hate Macs). 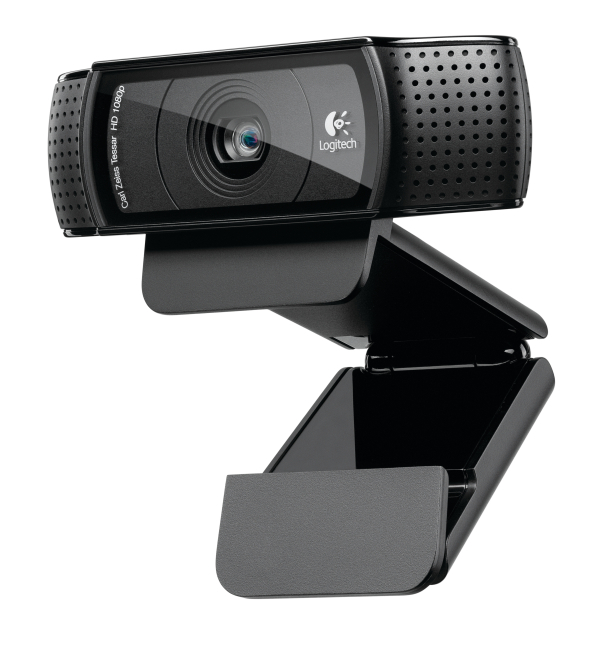 I quickly homed in on the Logitech C920 webcam after a recommendation from William Quiviger, but when looking up the specs of it, it turned out that it didn’t have Mac support either. I ended up in countless of angry threads online about the outrageous fact that the C920 didn’t have Mac support when its predecessor C910 had. Well, I ended up getting the C920 anyway because I didn’t like the idea of buying the previous generation, and Logitech’s own support reps on their site even mentioned in a thread that the support in C910 wasn’t that great. And everyone seemed to rave about the picture quality of the C9x0 in general, so I thought I’d take a chance. And boy did this camera exceed my expectations! Sure, there is no Mac support in that you can’t modify settings like white balance, brightness, saturation, gamma, etc…. but the reality is, you don’t need it. This camera adjust perfectly to any lighting condition! I’ve used this in daylight, during nighttime with an energy light bulb, and even in the darkness with the cold light from my 24″ monitor lighting up my face. Regardless of light source, the camera just adjusts perfectly and renders colors that don’t want me to cover up my face in late night meetings with my colleagues overseas. In comparison, the Creative camera that I owned previously made my face completely blue due to the harsh monitor light. 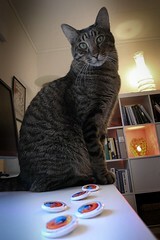 So, although you can’t modify any settings if you’re on a Mac, I still highly recommend this webcam as it adjusts perfectly and has stunning image quality. I certainly have never used a better webcam. And if you’re running Windows, the webcam is probably an even better choice. This entry was posted in reviews and tagged c910, c920, creative, creative live! socialize hd 1080p, logitech, mac, video, webcam, windows, windows 7 on 2013-01-19 by David Tenser. When I blogged about the launch of Firefox 1.0 five years ago, I knew it was a big day that we would look back at in the future. However, I would be lying if I said back then that I knew what kind of impact Firefox would have on the web as a whole. Five years ago, you couldn’t choose what type of computer of device you wanted to use to browse the web because all websites were designed to work with IE on Windows. Something as basic as surfing from your mobile device — we take this for granted today — was completely out of the question. Microsoft was in full control of the Internet and your web experience. This all changed when Firefox was released on November 9th 2004. Finally, web developers could design web sites according to standards instead of designing them to work for IE. Finally, users could experience web sites the way they were meant to be. Finally, the web was accessible to everyone. In a nutshell, Firefox is the reason why we can surf the web using our iPhones, Linux netbooks, or OpenSolaris PCs. Firefox set the web free. This entry was posted in mozilla and tagged firefox, firefox5, IE, Internet Explorer, microsoft, mozilla, tiger, windows on 2009-11-09 by David Tenser.